This 3 bedroom 2 bath is a delight! Close to walking trails and golf course, Cathedral, Capitol and shopping and schools! There are original charming hardwood floors on the main floor. Very nice deck off the newer sliding door off the bedroom or office! Newer windows through home also! Maintenance free exterior so you can play more golf! The kitchen is carefree as it has tons of storage and the appliances are all included! Very open feeling and bright! The bath on the main has been updated with glass blocks to let the light in! The basement has an additional bedroom with egress window! 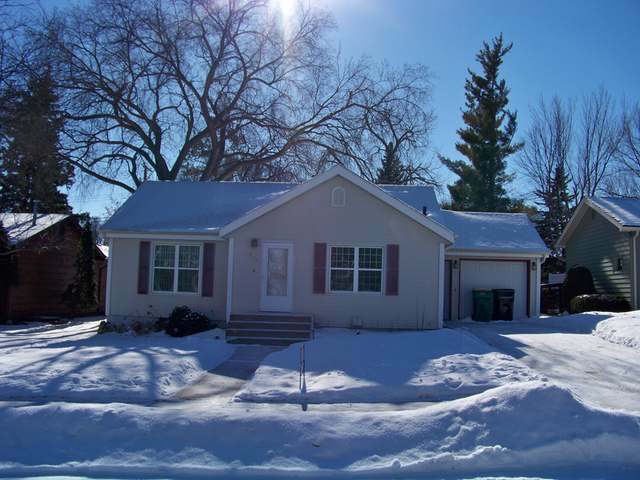 Very nice 3/4 bath that has been updated as well. Nice sized family room with newer carpeting! The furnace and water heater are also newer! The backyard is amazing! Very private with an awesome deck, firepit and fruit trees!Oh, and you get Winnie the Pooh for your Toyland decoration! A Christmas tradition in Bismarck! Call a Realtor so you can call this HOME!